Over 200 cats are now settling into loving homes across the province after being adopted during a successful Black Friday adoption initiative by the Ontario SPCA. But there are still so many animals waiting to be adopted. 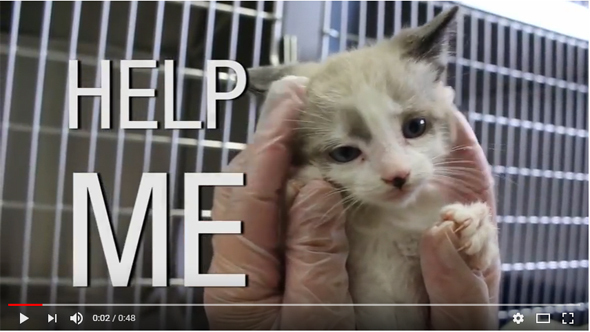 Visit meetyourmatch.ontariospca.ca and bring home an animal in need this holiday season. 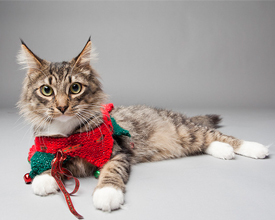 There are many reasons to adopt a pet and the holidays might be the perfect time to do so. What better way to fill those hours home on vacation than to bond with a new furry friend? It’s the perfect time to get to know your new pet and what they need. In light of our iAdopt for the Holidays campaign, we put together the top five reasons to adopt during the holidays. Finding the holiday hustle and bustle a little overwhelming? Your pets are likely feeling it to. With all the new smells and disruption in routines, pets can feel a little stressed during the busy holiday season. It’s especially important to keep you pet’s safety in mind during this time. Take precautions and keep them away from potential dangers like poinsettias which can be fatal if ingested. Read our latest pet safety blog for tips on keeping your pets healthy and safe. The holiday countdown is on and the Ontario SPCA’s Paws & Give™ 2017 Holiday Symbolic Giving Catalogue has that purr-fect gift for the special animal lover on your holiday shopping list. 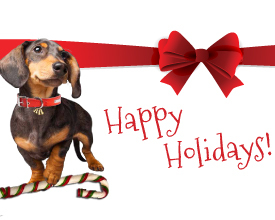 This season, give a gift that gives back in purrs and tail wags. The Ontario SPCA’s Paws & Give™ 2017 Holiday Symbolic Giving Catalogue is filled with gifts to help change the lives of animals in need. 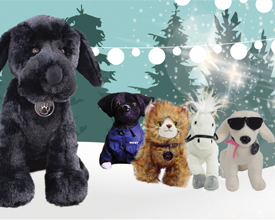 To help shoppers with last-minute gifts, the Ontario SPCA has compiled five gift ideas from its Paws & Give catalogue. Save the date for Monday, Feb. 26 – the sweetest day of the year! Ready, set, turn on that oven! National Cupcake Day™ is around the corner and we’re looking for Cupcake Champions like you to help “bake” a difference for animals in need. Our website will be launching soon. 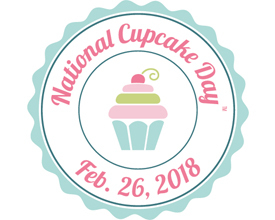 Pre-register at nationalcupcakeday.ca and plan your Cupcake Day™ Party for home, work, school or anywhere you think people would enjoy eating cupcakes. Cupcake Day parties can be held anywhere, and on any date in January or February. Guests donate to the participating animal welfare charity of the host’s choice in exchange for a cupcake or any baked goods, raising critically-needed funds for animals that are abused, abandoned, neglected or no longer wanted. Normal hours of operation will resume on Tuesday, Jan. 2, 2018.